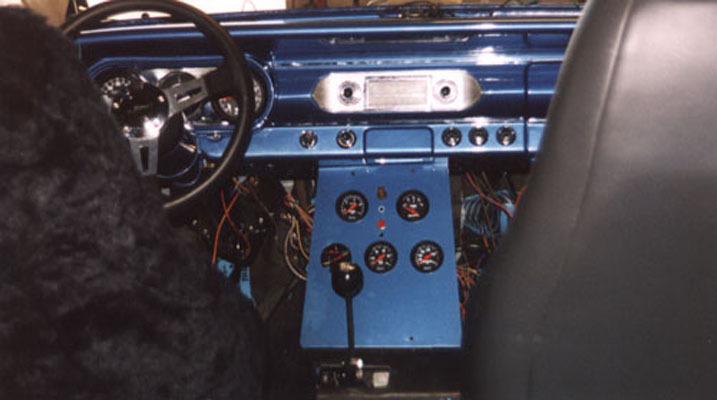 This page is dedicated to the electrical system, dashboard, seats, roll cage, carpet, headliner and door panels. Electrical System Since the original wiring was damaged and/or ruined in the car fire, I decided to re-wire the entire car. 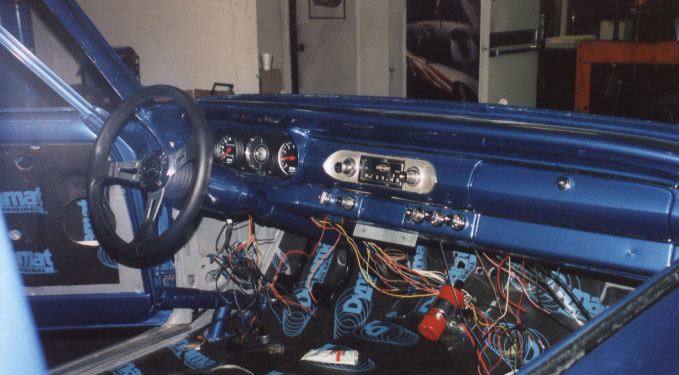 The battery is now in the trunk, and all wiring has been re-routed as to not be visible unless you really look for it, including the engine compartment. 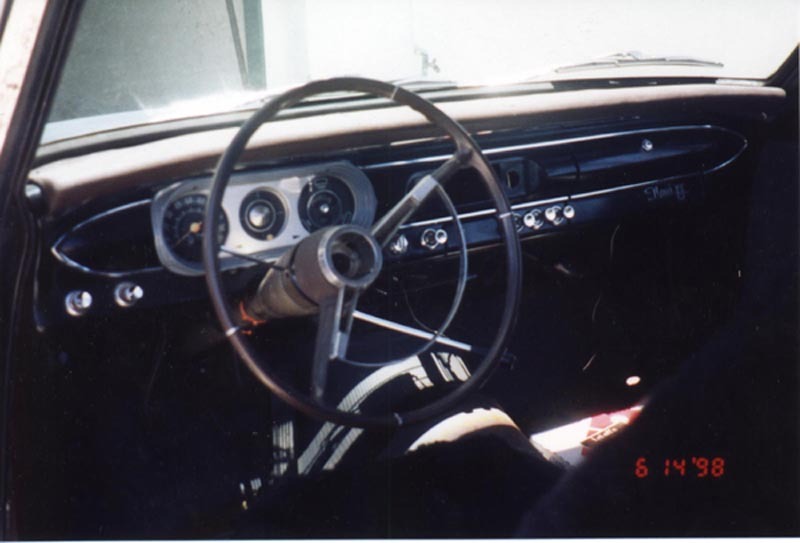 Dashboard I decided to go with a blue dash board to match the exterior color. 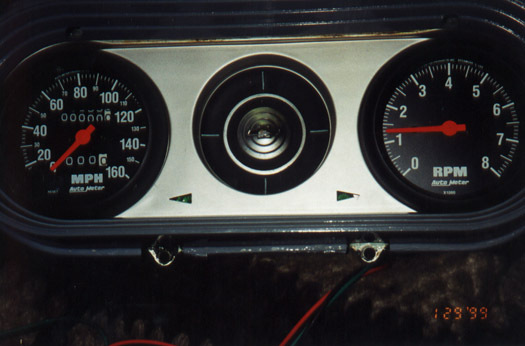 I am also going with Auto Meter gauges, black with red indicators. 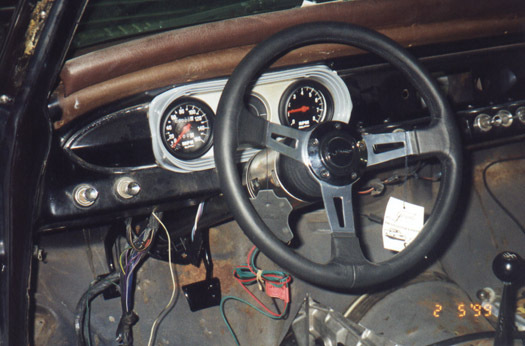 The clock blank that was originally in the gauges has been modified to house the shift light. I used a Dremel to cut the inside of the bow-tie so when the shift light comes on, it illuminates with a Chevy logo. I found a stock radio, that supposedly works. Real "tunage" will be properly hidden. I had the original chrome pieces re-chromed at Pacific Plating. This was not a cheap endeavor, but everything looks really nice. 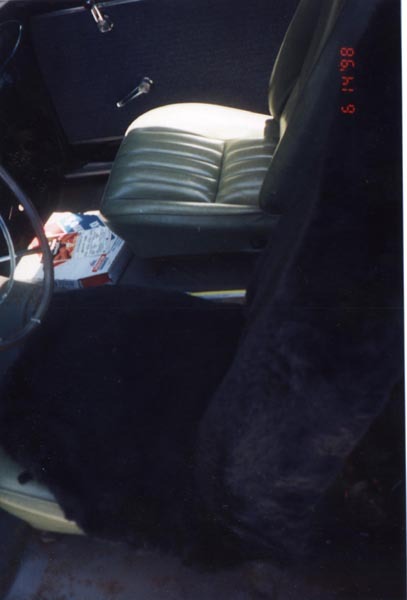 Seats I purchased some 1993 Z-28 charcoal gray leather seats, the driver seat is even power! Roll cage I purchased a 6-point cage with a driver's swing arm. 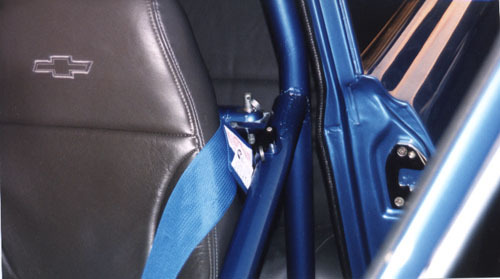 I didn't want an 8-point cage, as that would make the rear bench seat useless. As it turns out, the 6-point cage also made the bench useless, so I designed and bent my own rear kickers to go through the top of the rear deck. 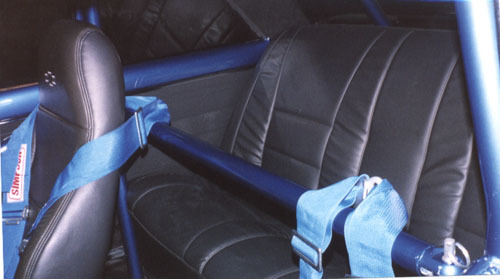 The cross bar behind the front seats is also removable for access to the back seat. Carpet, Door Panels and Headliner Before I replace any of these items, the car will be interior will be completely covered in Dynamat original. 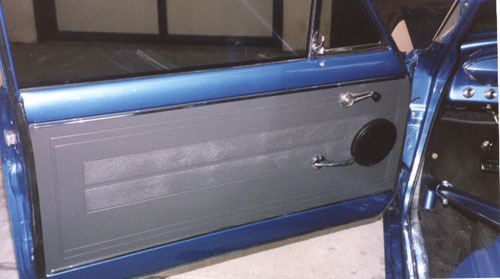 This will help in the exterior noise reduction as well as keeping the stereo inside... All of these items are to be Agate (to match the seats). I decided to go have all of this done locally, at Bernie's Upholstery. New gauges- notice the original clock blank has the bow tie "cut out". This is where the shift light now resides. This are the modified roll cage kickers. 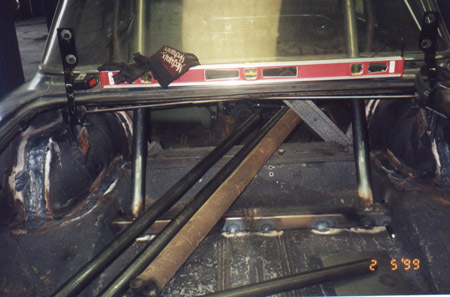 The bottom piece is tied-in to the rear frame section. New paint and chromed pieces for the dashboard.